Who's ready for summer??? Me, me me! I am already busting at the seams to get my hands on summer produce! The salad I made last night was made of almost all left overs. It was seriously thrown together and it was the freshest most amazing flavors! A lot of people make fun of me because I am such a salad eater, but while I do love my salads, I have to have a lot of flavors to change it up! Yesterday was a long day for me, so when I got home, I was starving! Here are the players in the game...fresh cilantro (left over from dinner Saturday night...we forgot to use it)! I love fresh herbs on salad. It really adds a great flavor layer! Next up...cucumber...crispy, cool and refreshing. 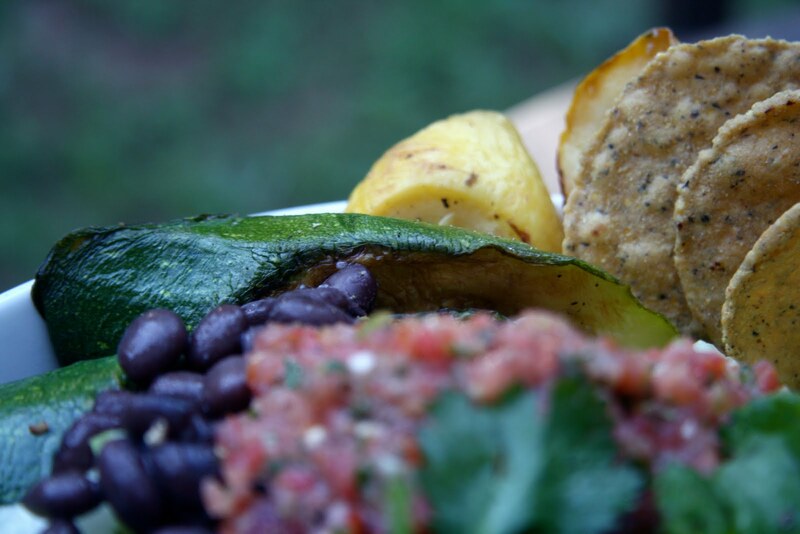 Jerk spiced grilled zucchini and squash...spicy and delicious! Falafel chips...so crunchy and flavorful! 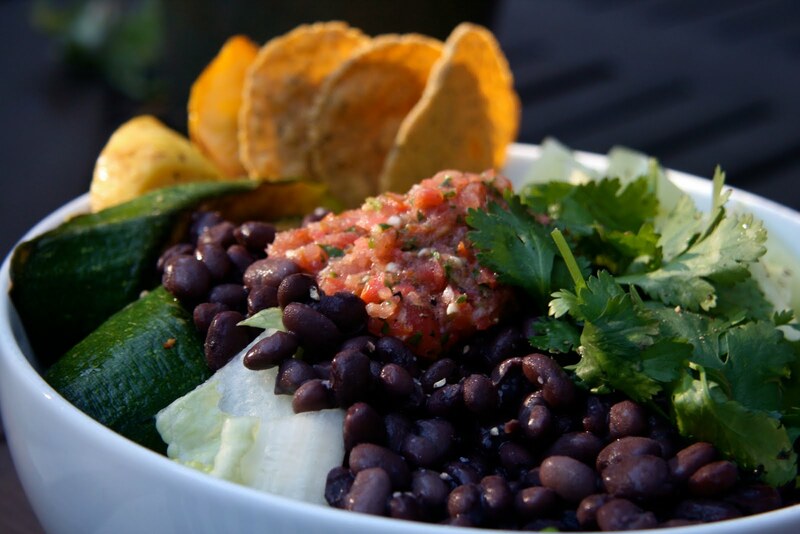 Black beans add great protein and a creamy texture to this beast of a salad...oh and home made salsa! 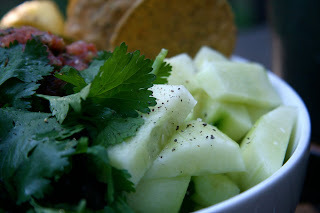 Homemade salsa makes you wonder why you would even buy the stuff in a jar! Fresh, spicy...absolutely delicious! Blend it in a food processor and enjoy! This salad got me thinking. While I have dietary restrictions, eating stuff like this makes me not think twice about what I "can't" have. I am helping a friend out with an elimination diet for digestion issues she is having. I know a lot of people that read my blog have done some sort of elimination in their diet whether it is for health, fitness or digestion problems. What are some suggestions you have for someone that is just starting out with restricting their diet? My philosophy is always focus on what you can have and not what you can't have. It makes the options seem like so much more! I'm a big salad eater too. Love black beans and salsa on mine. Such a good combo. The jerk seasoned veggies sound fantastic too! I like the way you think of it- focus on all the things you can still enjoy. And seriously, there are a lot of great substitutes out there for almost anything! That salad looks amazing! I have some fresh jalapenos, I should make some salsa. I went to an excellent Celiac specialist in Atlanta when we lived there. She recommended eliminating gluten from my diet anyway, but I am stubborn, lol. I think the best way to go about it is to start with basics and log it all. Every bite and sip! It's crazy what people can be allergic to. I think it's a good idea for people to have an ELISA test done. You can be allergic to the craziest things, like caffeine and mustard. Slowly add things back in your diet and then give it 3 days to see how you react before you add another variable. I LOVE fresh salsa! Nothing beats it! Yours looks delicious! That salsa looks SO fresh. It is the embodiment of summer! Yum! I love your salads - I would never pick on you!! You can come make me one anytime ;) Everytime you mention falafel chips, my mouth wters a little bit. The salsa looks awesome - and I second the black bean mention. Yum! dude I been eating salsa like EVERY DAY. it's such an awesome summery food. great with vino too. about yr friend's diet... i'd start with the usual suspects, the stuff that typically upsets digestive health. If there are still problems, then definitely nuts. But off what Jen said, it does make more sense to get tested. It can save your friend a lot of frustration later! oh way to go on that salsa! i hate buying salsa b/c it's a garlic/onion/saltfest. at home, i can skip what i dont need. love homemade! 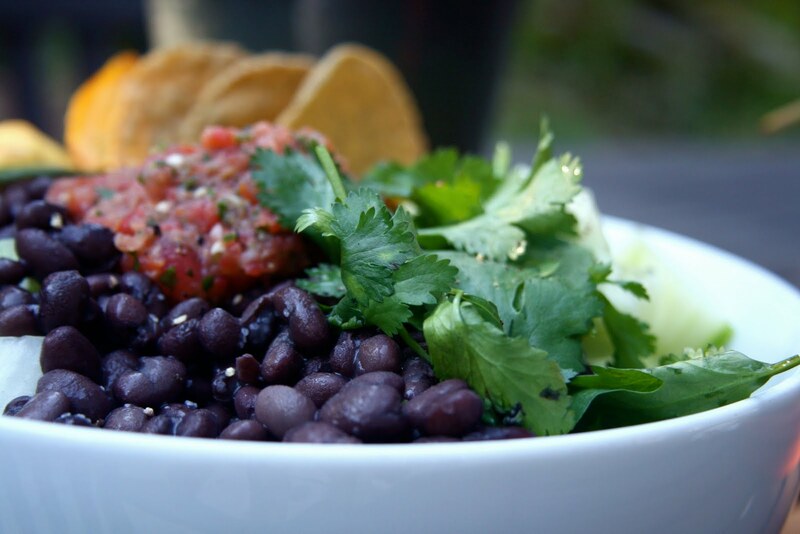 i LOVE fresh salsa and beans!! i think I may just have to make some tongight!! Fresh salsa is best! I love it! My mom always makes it and she uses fresh herbs from her garden. I love that! 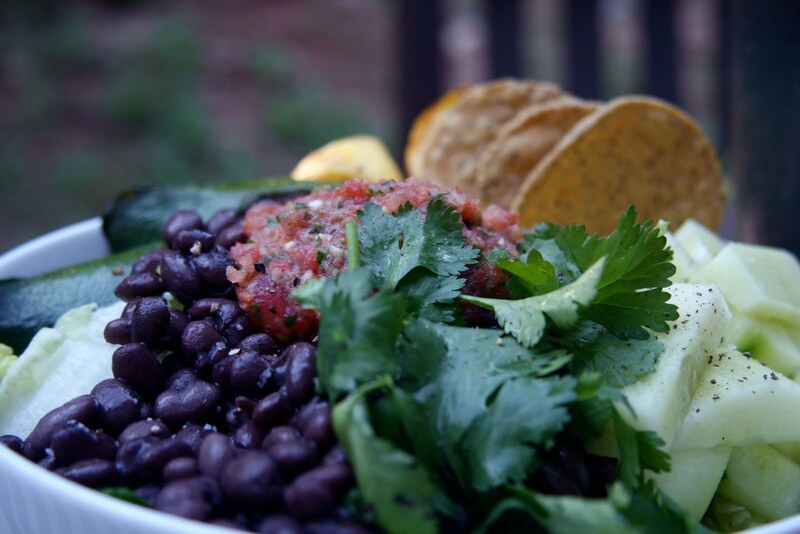 Your homemade salsa sounds great! Plus I need something to make with all my fresh cilantro I have growing on my porch... thanks! Mashed Potatoes Make Everything Better!